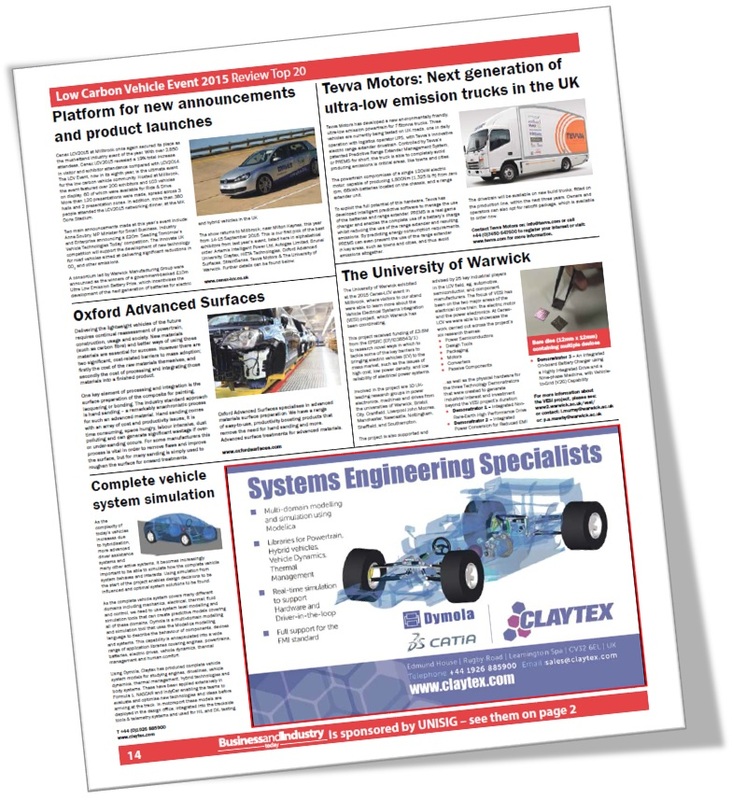 Journalists of the Business and Industry Today have chosen Claytex as one of the ‘Top 10’ Exhibitors of the Low Carbon Vehicle Event 2015. At the LCV2015, Claytex attracted a lot of attention towards our exhibition stand as we announced our partnership projects with two key automotive manufacturers; JLR (Battery Modelling for Future HEV and EV Product Development) and Ford (Model-based Real-time Systems Engineering). 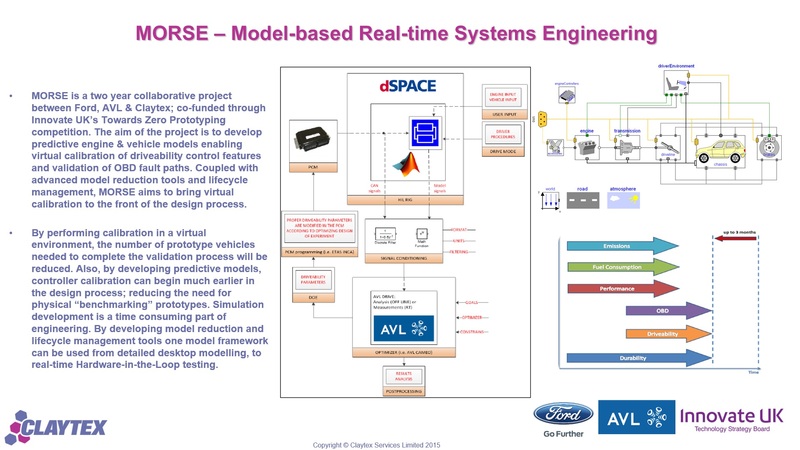 In addition to having a stand at which we showcased our systems engineering solutions including Dymola & Reqtify, Mike Dempsey, Managing Director of Claytex presented a paper on Battery Modelling for Future HEV and EV Product Development. 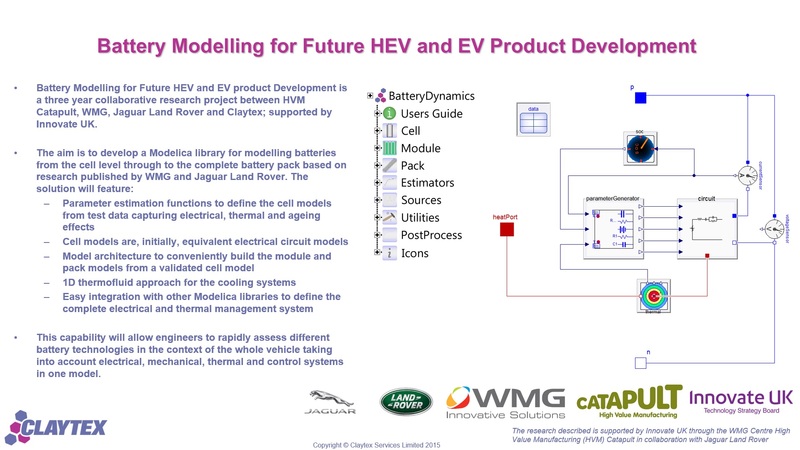 The presentation explained how battery modelling can be applied to aid the development of passenger car hybrid electric (HEV) and pure battery electric (EV) powertrains. This year, Claytex will have even a greater presence with new announcements to make at the Low Carbon Vehicle Event 2016.